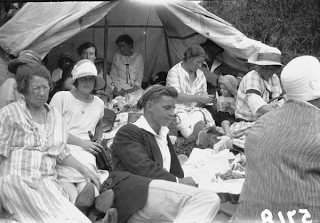 Be sure to check out the wide range of Family History Month events running across Auckland Libraries during August. Find out more and view details of the events in your area. 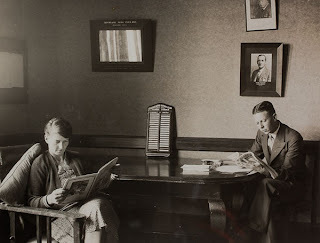 To whet your appetite, here are a selection of images from Auckland Libraries heritage collections around the region. Glen Eden Library held a very successful local history display on Saturday 14 July. Members of the West Auckland Historic Society, Glen Eden Protection Society, Friends of Waikumete Cemetery and the Glen Eden Business Association combined to display a range of old photographs, ephemera (public notices and charters) and other documents outlining the development and settlement of the Glen Eden township dating from the 1880's onwards. 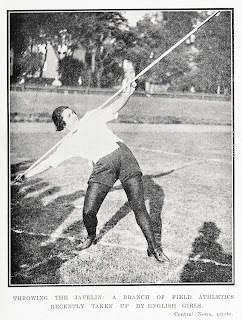 Classics by Mansfield include short stories such as 'The Fly', 'The Garden Party', 'The Canary' and 'The Doll's House'.﻿﻿﻿﻿﻿﻿﻿﻿﻿﻿﻿﻿﻿﻿﻿﻿﻿﻿﻿﻿﻿﻿﻿﻿﻿﻿﻿﻿﻿﻿﻿﻿﻿﻿﻿﻿ ﻿Check out Katherine Mansfield resources in the heritage collections as well as a manuscript featuring Mansfield's signature (NZMS 554) in the Sir George Grey Special Collections. The Scottish Poetry Library along with the BBC will be broadcasting a poem on the radio every day during the games (204 in total) to represent each participating nation. Find out more about Poetry 2012 - The Written Word initiative and the poem chosen to represent Great Britain. With the Olympics kicking off this weekend, it's time to relive the opening ceremony of the 1948 Olympics. 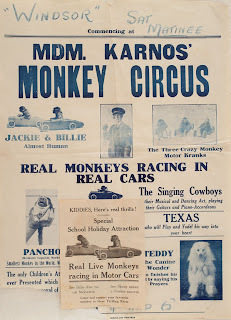 An interesting item turned up recently, while I was cataloguing an item from the Pre-1800 Printed Books collection in Sir George Grey Special Collections. The book in question, 'A general history of the stage …' collected and digested by W.R. Chetwood was printed in London in 1749 and purchased by the library in 1975. The library probably bought it to complement the fine collection of Elizabethan and Restoration drama already acquired through donations from Sir George Grey and Fred Shaw. The author had been a prompter at Drury Lane, so had a wealth of insider knowledge. 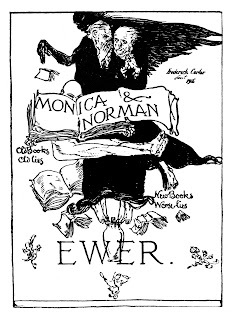 Just as interesting is the rather odd bookplate of some former owners pasted inside the front cover of the book. Today Outward Bound celebrates 50 years since its establishment in 1962. Outward Bound was founded overseas in 1941 by the German educator Kurt Hahn and influenced by a training course devised for young sailors during World War II. Indeed the term 'outward bound' - a nautical expression to describe a ship leaving harbour, reflects these origins. It is also a metaphor for the challenges faced by participants taking part in Outward Bound courses. ﻿The Outward Bound Trust was established in 1946 to spread the concept to other schools around the world. In 1961, Kiwi Hamish Thomas, a barrister and ex-navy man, brought Outward Bound to New Zealand. 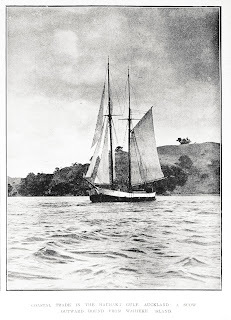 The first Outward Bound expedition took places in 1962, when a group of young men descended on Anakiwa in Queen Charlotte Sound, a trip which took 24 days. 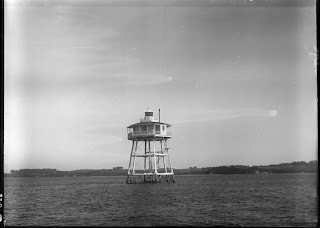 Bean Rock Lighthouse, one of Auckland's distinctive icons celebrates its birthday today. The lighthouse is located on Bean Rocks in the Auckland Harbour. Construction started in 1870 and it was completed in 1871. It was first lit at 6.00 pm on Monday 24th July 1871. Restoration was carried out in 1985. ﻿Lighthouses have traditionally been seen as romantic structures, hundreds of stories have been written about them, in them and they have actually been accused by some Ships' Masters of being in the road of their ships. View the online exhibition by Voyager New Zealand Maritime Museum and find out more about the Bean Rock Lighthouse. 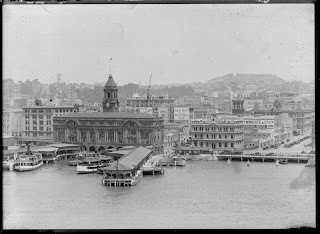 This year, the Auckland Ferry Building celebrates its 100th birthday. The Ferry Building had no official opening in 1912 but Voyager New Zealand Maritime Museum have taken the date of the 24th July 2012 as the building's official birthday. Ngā Kākano o Matariki / Seeds of Matariki, an exhibition of selected works by students of Ngā Kākano Reo e Rua Kura is currently on display at the West Auckland Research Centre, J T Diamond Reading Room, Level 2, Waitakere Central Library, Henderson from 16 July to 27 July. Seeds were planted in the minds of local rangatahi (youth) this Matariki, during two wānanga held at the West Auckland Research Centre, celebrating Māori New Year. Students from Ngā Kākano Christian Kura Reo E Rua attended two environmental presentations at Waitakere Central Library, then produced art work based on what they had learned. Their prints celebrating our relationship with Papatūānuku, our earth mother, have blossomed into a celebrated body of work in the sanctuary of the J T Diamond exhibition space. 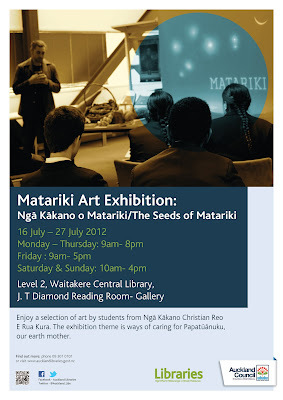 Ngā Kākano o Matariki / Seeds of Matariki exhibition is on display for the following weeks as Matariki Celebrations conclude and te wiki o te reo Māori, Māori language week begins. 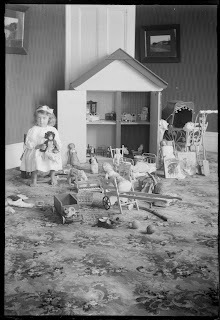 A new edition of the South Auckland photographic database Footprints has just come out. The new release has an additional 900 images. These include a number of images dating from between 1864 and 1979 from the Waiuku Museum Society’s rich and varied photographic collection (a first-time contributor); further images from the Otahuhu Historical Society’s wonderful collection; a series of striking images taken from Manukau Courier files between 1994 and 2002; and material from several privately held collections. That had been lost in it. Despite this unsugared description, a copy of 'The Ballad of the Stonegut Sugarworks' is lodged in the Chelsea Sugar Archives (at Birkenhead Library), sandwiched between a 1962 plan of the 'Disposition of Buildings' and a 1976 letter from the Refinery Manger to the Managing Director about managing absenteeism. A positioning which is at once random, and oddly relevant - though I couldn’t locate that impressive sounding ‘sump’ on the plan (see below). Leading Auckland retailer and benefactor Dennis Nathan passed away on July 8th, 2012. Find out more about this man, who along with his three brothers took over the family business LD Nathan in the 1930s and set up some of New Zealand's largest retail stores. The brothers' grandfather, David Nathan started the company in 1840, exporting flax and kauri gum. It was sold in 1988 and merged with Lion Breweries. 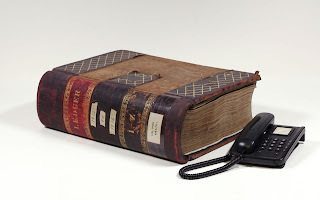 On a heritage note, the Nathan family have a connection to the Sir George Grey Special Collections, through the records of LD Nathan, which Lawrence Nathan gave to the library in 1974. Lawrence Nathan was Dennis' brother and author of 'As old as Auckland', copies of which are available at Auckland Libraries. The Illustrated London News is now available online! This newspaper ran for 150 years, with the first issue published in 1842. Whilst the newspaper was mainly focused on British events, there was coverage on British colonies, including New Zealand. 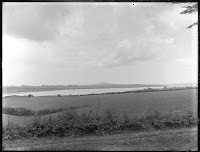 Find out more about this digitisation project and the historical archive (1842-2003), available by subscription through Gale NewsVault. You can also search for New Zealand content (covering the period from 1842-1902) for free using the online database, which has been produced by the University of Waikato. Find out more about the New Zealand content. One of the delightful aspects of the research centres is the absolute diversity of material we have here. Some might question just why we collect the material we do but there are times when one feels particularly pleased with the powers-that-be who have, over the years, built up the collections. 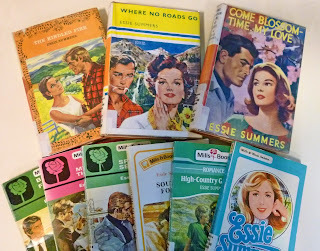 In this case, I am talking about the work of the renowned Kiwi romance writer, Essie Summers. She was a Mills and Boon phenomenon, a pastor’s wife who began writing for the publisher in the 1950s, and became one of their best selling and most loved authors. She died in 1998, but her popularity is such that at times M&B still reprint her novels as part of their Bestseller programme. Can't wait for the 2012 Olympics in London? Relive the events of the 1948 Olympics in post war Britain. Find out more and search the Guardian archives. The First World War Centenary panel has just been announced. This advisory panel will steer the vast programme of events, which will take place to celebrate the 100th anniversary of the First World War in New Zealand. Find out more. As a way of capturing Italy's historic memory, Google has struck a deal with the Italian government and will be posting 30,000 Italian archival newsreels and documentaries from the 20th century online. This includes a Youtube channel dedicated to footage captured by the Istituto Luce-Cinecitta. Many of the content is propagandistic in style and glorifies Benito Mussolini's fascist regime. Find out more. The Santiago Codex Calixtinus, which stolen from the Santiago de Compostela in Galicia, Spain has been recovered safe and sound in a garage. The richly decorated religious manuscript dates from circa 1150 and is thought to be the first guidebook for those following the religious pilgrim route to Santiago. Find out more. Next year, Aotearoa New Zealand's founding document, Te Tiriti o Waitangi the Treaty of Waitangi will be moving house. But it's not going far .. The treaty is moving from the Archives New Zealand building, where it has been on display since 1991, to the newly refurbished National Library of New Zealand building around the corner. Find out more. Yes, it's true, we have caught the Historypin bug and are loving it and think you will too! Historypin is a user generated online digital archive, which is growing daily. What does this mean?! Well, in a nutshell it's an online system that allows people and institutions from anywhere around the world to view, upload and pin photos, text and audiovisual content to a gigantic interactive worldwide map. It's fun but is also underpinned (excuse the pun) by a social and educational worth. 3 unidentified photographs, ca 1910 from the collection of Sir George Grey Special Collections are the subject of Fiona Jack’s installation at Pakuranga’s Te Tuhi Billboard series. ﻿ Jack has “re-presented” the photographs on the Reeves Road street front opposite the gallery. Visit Te Tuhi to view the images of the vast landscape and you can collect the catalogue. The catalogue is a transcript of the conversation between Fiona Jack, Alan La Roche, Nova Paul, Pita Turei and Luke Willis Thompson – talking about the place and the visual clues in the photographs. ﻿ ﻿﻿﻿﻿The Billboards are in place from 03 March – 29 July 2012 – take a look. 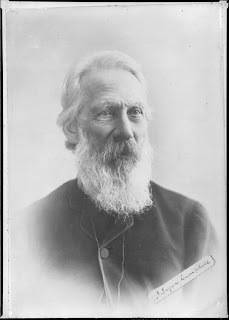 Find out more about Sir John Logan Campbell's connections with the art world, from The University of Auckland Library's blog. 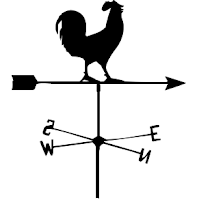 The Whitehaven Archive and Local Studies Centre in the UK, contains the detailed daily weather log of John Fletcher Miller (1816-1856). The logs span from the writings of a 15 year old boy through to the mature writings of a 40 year old man. The logs are rich in evocative descriptions and written in beautiful italic script. One of only two complete surviving copies of Percival Willoughby's 'Observations in Midwifery', written in around 1670, is up for auction. Willoughby was an obstetrician, practicing from around 1630. He collected and wrote about more than 200 cases in the manuscript, which he intended to be used as a tool for teaching midwives more humane and less brutal practices. In his own words, he wanted to "to inform the ignorant common midwives with such wayes as I have used with good successe ... shewing the wayes how to deliver any difficult birth, bee it naturall, or, unnaturall". Strangely, the manuscript was not published until 1863. An estimate of between 20,000 to 30,000 British pounds has been given. Read more. A published version of this manuscript already been digitised and is available online. A new theme on Te Ara has just been released. 'Government and Nation' is full of fascinating facts about Aotearoa New Zealand. There are 9 different sub themes, which provide avenues for exploration, such as education and Te Tiriti - The Treaty. The range and depth of information is staggering, ranging from postage stamps to memorials & monuments to New Zealand's association with Antarctica. Read more and and jump heads first into the content on Te Ara.